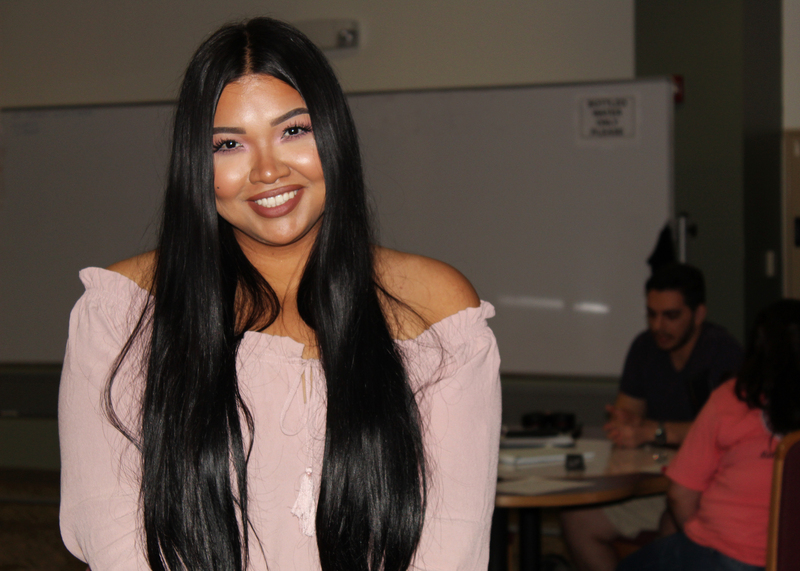 (HARLINGEN) – Estefany Ruiz earned her associate degree from Texas State Technical College in Biology during Spring 2018, but she is back studying Engineering and expects to finish this semester. The 21-year-old Alamo native holds an impressive 3.5 grade-point average and works with the Office of Student Success as an English tutor. What your plans after graduation? I am currently a student at TSTC and enrolled at Texas A&M University-Kingsville where I’m studying Chemical Engineering. However, I have just been accepted into the Medicinal Plant Chemistry program at Northern Michigan University, so I’m looking at possibly transferring there. My dream job is to become a medicinal chemist and to own a company where I can research and manufacture medicines. My greatest accomplishment while at TSTC has been developing my passion for chemistry. In high school, even though I liked the subject, it was not my forte. I have to credit my instructors for helping me find my passion. If not for their advice, helping hand and caring nature I would not be pursuing this career today. The greatest lesson I have learned is to believe in yourself and have a positive mindset and attitude. Having both of these attributes will help a person achieve whatever goal they have in mind; there’s no stopping. The person who has had the most influence on my success is my organic chemistry instructor Everardo Villarreal. He believes in all of his students, more than we believe in ourselves. He believes in us so much that even we can’t doubt ourselves. My advice for future TSTC students is to make concise decision about your education and your future, stay positive no matter what and find like-minded people who have similar goals as yours.